Shooting Fish produced two original works based on the Tempest for Goole Bonfire; a 10 minute reduction of the story into an audio play with accompanying puppet performances, which was astonishingly difficult to do, and a spin off play for children about the back story of Sycorax the witch, Caliban’s mother. 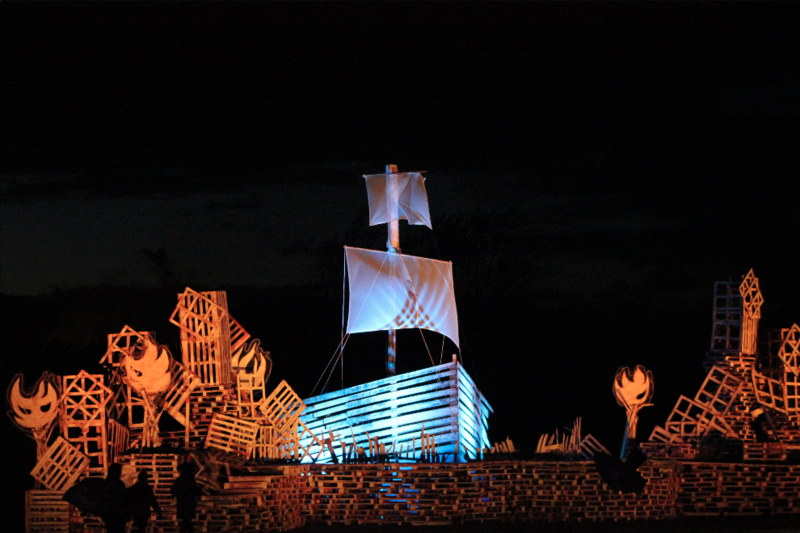 The production was housed in an astonishing structural bonfire/set designed by Laura Cordery which saw West Park Goole transformed into a shipwrecked island. 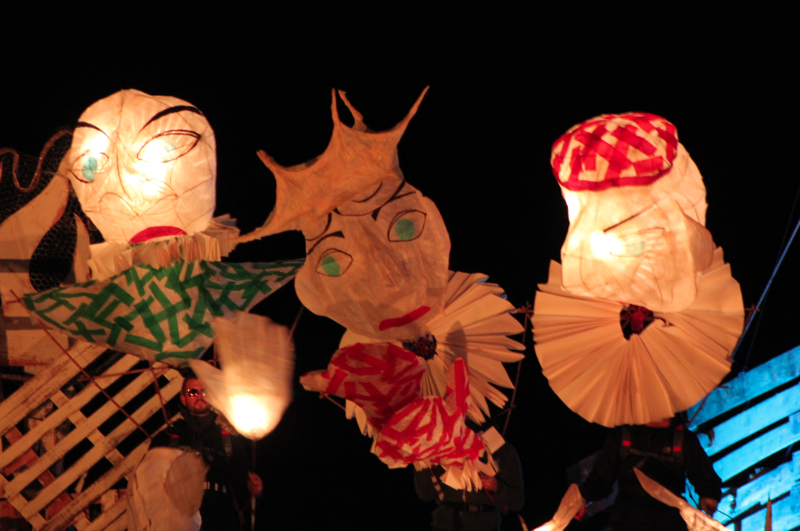 Over 10,000 people attended the production which was accompanied by a spectacular fireworks display from External Combustion. The audio plays can be heard here.